At Wave of Life Chiropractic, we strive to provide unique and cutting edge services that help patients heal from symptoms such as pregnancy health, ear infections and overall pediatric health. Your journey toward health is the focus of your Virginia Beach chiropractors. We can help you! 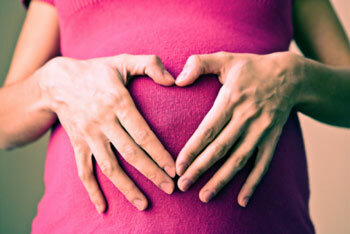 I have experience working with growing moms along their pregnancy journey of creating a beautiful and perfect baby. Chiropractic helps keep the nervous system clear of interference so your body can do what it is built to do, develop a perfect baby. Adjustments also help keep your pelvis in alignment for the big day to go as smooth, quick, and pain-free as possible. I have worked with many children who have suffered from ear infections. Through gentle chiropractic adjustments the structures around the ear canal are kept open and in place so fluid does not get stuck in the ear canal. I have helped countless children maintain their health and well-being through chiropractic care. Kids are constantly growing, and coming in contact with new germs their body has to fight to build a strong immune system. Chiropractic helps keep their nervous system clear so that their immune system can function to the best of its ability. Contact Wave of Life Chiropractic now to schedule an appointment. Resources: www.icpa4kids.org for more information on pediatric and pregnancy chiropractic research.